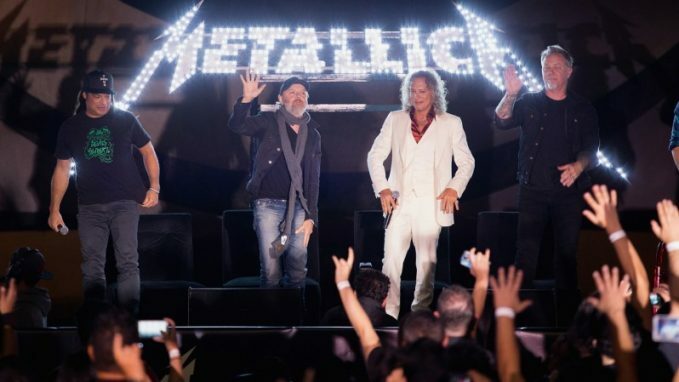 Metallica frontman James Hetfield says the band “have not yet” made their greatest album. The thrash giants subject 10th album Hardwired… To Self-Destruct on November 18. 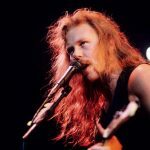 And whereas they’re happy with the way it has turned out, Hetfield insists the band proceed to get higher with each report. At a Q&A with followers in Mexico, Hetfield says: “The subsequent album is at all times going to be the higher one. We’ve not made our greatest record yet. 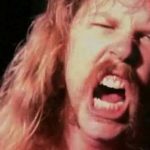 Requested why they took so lengthy to follow-up 2008’s Death Magnetic, Hetfield urges followers to keep up the strain on the band to deliver an 11th album. He says: “It took a very long time. People got mad. And I realised once we were playing the album for a number of the journalists that it is such a fantastic feeling to present beginning to new music and the way it makes other people really feel made me really feel good. Metallica are on tour, with dates lined up by way of into 2017. 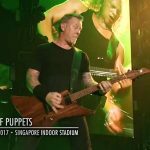 Metallica’s Limited Version Free Halloween Mask RevealedMETALLICA Have Just Released Video For New Song "ATLAS, RISE!" - WATCH IT NOW!